As we all know world headquarters has moved to Warwick, New York, and the iconic red illuminated Watchtower sign is now gone as well as other JW signs once painted on the buildings. So, what is still here in Brooklyn? Everything! The buildings are still the same, the stories are still the same, and most of all – Our Spiritual Heritage is still the same! Is it still worth a visit to Brooklyn? Well, that is for you to decide but we certainly think so! Many Oasis guides live in Brooklyn and have a rich theocratic history associated with years of service at Brooklyn Bethel. World Headquarters was not located in Brooklyn Heights for over 100 years without good reason. What was the reason? 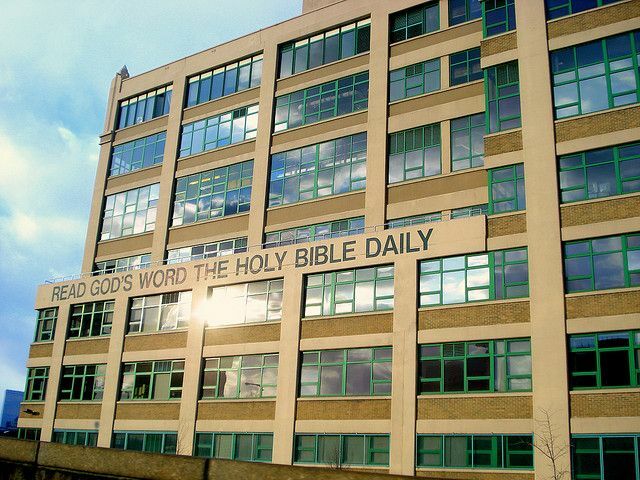 With so many places to choose from, why did Jehovah choose Brooklyn? What prophecies were fulfilled with pin-point accuracy here? What proof is there that divine-guidance was involved in the purchase and development of properties in Brooklyn Heights – despite being the first designated historical district in New York with many building restrictions? Come and hear what the buildings – and tour guides – can tell you! We will re-live first-hand accounts from anointed ones and others going all the way back to the beginning – 1909! You will personally visit places of immense interest and great importance to the legacy of Our Spiritual Heritage in Brooklyn Heights. Recordings of faithful brothers and sisters with decades of Bethel service who have since gone onto their heavenly reward or who await a resurrection in the grave, will stir your faith and move your hearts! What a privilege it will be to still hear from them and benefit from their unique perspective while they served at the hub of Jehovah’s earthly organization. When is this multi-hour tour available? Almost any day of the week depending on guide availability. How many persons constitute a group? We would prefer that you have at least 15. If you do not have a group and want to be included in one if there is one available when you request, we will try. Is it difficult to hear while walking around? No, sound amplifying speakers are used by the guides. How much walking is involved? A LOT of walking is required and you will be on your feet a few hours. What does the tour cost? Current plans or to provide this tour free of charge. How long does the tour last? At least 2 hours (a.m. or p.m.), not counting breaks. Several subway stations are very close by. All tours begin and end in Brooklyn Heights. Discounted parking has been specially arranged for Oasis groups. There is a bathroom break and opportunities exist to get coffee or snacks. You may dress casually according to weather and comfortable walking shoes are very important. To be notified when this tour officially gets underway, please use the form below to sign up on the Our Spiritual Heritage tour email list.